Listening to Richard Boase talk to Adam B. Levine on LTB Episode 133, I very much related to his description of the many challenges Bitcoin advocates face in Kenya and the rest of Africa. After arriving in Nairobi, all evangelistic and upbeat about Bitcoin and his charity mission, Richard left six weeks later, rather disappointed and with a completely different outlook. If you have not yet listened to Episode 133, I highly recommend it. I have a background in electronic engineering and financial services and currently head the African Digital Currency Association, based in Nairobi, Kenya. Since its founding in April 2014, the ADCA has been on the forefront of Bitcoin advocacy in East Africa. While fulfilling the duties of this role, I have engaged with audiences in Kenya during cryptocurrency meet-ups and on various online platforms, and I also have regular contact with the global Bitcoin community. Digital currency technology and Bitcoin indeed have have plenty of development impact use cases to offer the continent and people of Africa, from financial access and financial services to the many upcoming applications of blockchain technology. Some aspects have been explored, others are currently under exploration and I am sure that more will emerge as we go along. In this article, I will add my perspective on Richard Boase's insights that I felt resonated with me and, at the same time, I will offer my own views where I disagree. Full disclosure: I currently own bitcoins. Richard was spot on when he pointed out the enormous gulf between the prevailing beliefs bitcoin enthusiasts have about Bitcoin and Africa, and the reality on the ground. This disconnect is pretty common and I encounter it daily while perusing comments on /r/bitcoin, articles on Coindesk and the occasional mentions by guests on Adam's podcasts. I often wonder whether a majority of global Bitcoin proponents understand what Bitcoin really means for Africa. I'm an African and I'm still figuring it out! In my opinion, Africans have completely different ambitions and expectations of the future from what outsiders imagine. Kenya is struggling to liberalize its markets and get its politics in order, while a majority of Kenyans face daily struggles trying to make ends meet and better their lives. Multi-tiered failures by government agencies, free markets, political leaders, law enforcement and a whole host of other hindrances are a drag on economic activity. Despite all these problems, Kenyans manage to get by and attain a decent level of comfort. All in all, Kenya is arguably a better place to live in than it was a decade ago. When you consider that even many people in the US and Europe are wary of Bitcoin, it is hardly surprising that Kenyans are not readily jumping onto the concept of an alternative, non-government issued cryptocurrency. Only a handful of the Kenyan population has a proper grasp of the money creation process and the concept of inflation, and even they are skeptical of Bitcoin. On the Wazua.co.ke forum, frequented by financial services experts mostly from Kenya, the tone is highly dismissive of Bitcoin. Unfortunately, these so-called "experts" are the custodians of knowledge in this field, regardless of how right or wrong they are. It is clear that, if we have not won them over yet, the challenge is greater than we think. I am not surprised by the skepticism of the administrative staff at the NGO Richard visited, especially after they consulted with their financial "expert". It takes time to wrap your head around a concept like Bitcoin. I imagine Bitcoin would have been well received had it been a branded money-transmitter service - a fast, global, low-cost payment platform for efficiently receiving donations. 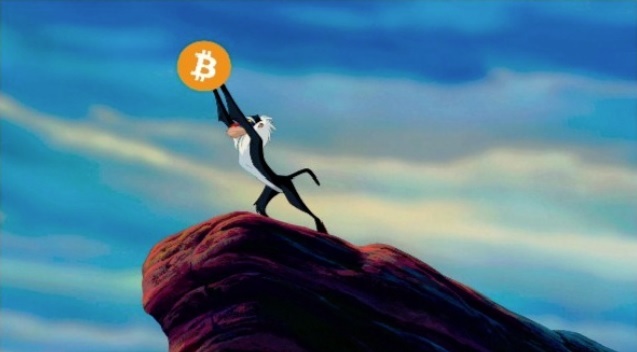 Going forward, I think that reputable businesses and services built around the blockchain will be crucial for Bitcoin adoption in Kenya and the rest of Africa. From my experience at meet-ups and talks, I find it best to first approach the subject by outlining the numerous advantages of digital currency protocols like Bitcoin, Ripple and also ChamaPesa, a mobile app for running informal savings investment groups called chamas, typical of Kenya and East Africa. Often, this helps people warm up to the idea. Almost everyone in Kenya has witnessed the radical impact of the cellular networks and/or the Internet, so it helps a great deal to compare these technologies to the current developments in digital finance. The next step is to educate people about real-life use cases of Bitcoin, such as remittances, international payments, e-commerce, micropayments and crowdfunding. Only then can we get into the subtleties of the bitcoin currency, mining and decentralization. By and large, it is important that the message is tailored for the audience, be they campus students, tech developers, common folk, friends, and so on. For cryptocurrency to find a place in East Africa, local conversations need to happen. This is one reason why the African Digital Currency Association was set up for East Africans, by East Africans: to foster discussion on a local level and pick out the best use cases for cryptocurrencies, based on the priorities of the people of Kenya and East Africa. Imposing what Bitcoin should do for people is the wrong approach. Just like the cellphone found a different and unexpected application in East Africa, so, I think, will Bitcoin. Richard Boase expressed his doubts about the feasibility of peer-to-peer charity, or direct charity donations. I have some compelling thoughts on the subject that I plan to share in a future post. Regulation is a controversial topic among the cryptocurrency community. However, a clear and enabling regulatory environment will play a crucial role in the deployment of successful digital currency models in Africa. Many cryptocurrency enthusiasts consider Bitcoin to be the natural successor to the likes of M-PESA, Orange Money and Airtel Money, centrally-issued digital currencies that run on the SMS cellular network. 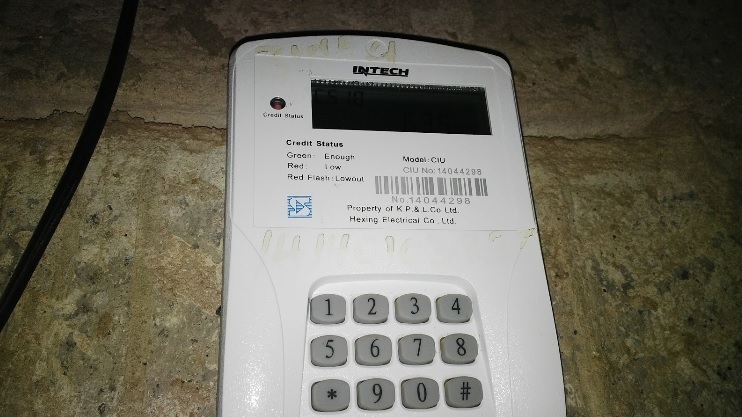 It is true that these payment systems have radically enabled East Africans in a variety of ways, including access to mobile banking, credit services, savings wallets, insurance and other emerging services, now offered via cell phone. However, few outsiders realize that these services are actually regulated by the Central Bank of Kenya and 100% backed by liquid reserves, and that they would not be so popular otherwise. Claire Alexandre, a senior program officer with the Bill and Melinda Gates Foundation's Financial Services for the Poor initiative, puts many other misconceptions about M-PESA to rest in her article: 10 Things You Thought You Knew About M-PESA. Banks are actively getting in on this lucrative mobile money business. For example, Equity Bank now has a license from regulators (the Communications Authority of Kenya) to operate its own virtual mobile network. However, a lack of regulatory clarity poses challenges to the widespread adoption of Bitcoin. African countries take years to pass legislation for payments, and this can make things hard for bitcoin-related start-ups or new market entrants legitimately trying to bring about change. For example, purchasing bitcoins is still difficult on the UK-Kenya Bitcoin remittances corridor, as BitPesa's CEO, Elizabeth Rosiello, acknowledges in a podcast with Dave Birch. The advanced financial systems of the US, the UK and the rest of Europe generally lead African economies when it comes to enacting new laws. East African countries regularly borrow ideas and look to these modern economies to determine best practices, and I think the same will happen with cryptocurrencies. This means that if favorable laws are passed in Europe and the US, this will likely have a positive influence on the way crypto-technologies are considered and treated within African contexts. One of the best use cases for Bitcoin is, of course, cross-border payments, both from other countries (such as the US, Europe and Australia) to Africa, as well as intra-African cross-border transactions. Remittances, international payments (trade, commerce, exports) and online payments (outsourcing services) represent the bulk of East African money inflows - well over $5 billion. Europe and North America account for 75% of remittances into Kenya ($1.4 billion), and positive, enabling regulation can bolster cryptocurrency use by financial-technology money transmitters. Kenyans sending money home (P2P) and businesses making payments for goods and services (B2B) would then be able to viably use these channels, saving time and transaction costs in the process. In a post I wrote for Coinbrief, titled: How Can Digital Currency Enable Farmers in Africa?, I outlined the problem of international payments and the opportunity for Ripple, Bitcoin and the emerging FinTech industry as a whole. International payments are cumbersome and pass through long chains of correspondent bank networks that add friction on cross-border transfers. For example, farmers receiving payments for exports experience a series of delays and multiple fees, as their payments hop from one bank to another. As many as four or more banks may be involved before the transaction is concluded. In some cases, money sent from West Africa to East Africa has to go through US banks and, at times, European banks, before it arrives at its destination. A digital currency money transmitter channel makes perfect sense and, once again, regulation on both ends will be key for adoption. In the words of Richard Boase, "Bitcoin is half a business". Contrary to Richard's view, however, Western Union is hardly a similar value proposition to Bitcoin. The slideshare below captures the gulf between the two. Fees for Intra-African remittances are as high as 25%! BitPesa offers an instant transfer at a much lower, transparent flat fee of 3% and delivers the money straight into your mobile wallet. This is huge for unbanked beneficiaries of remittances who are at least able to own a mobile wallet. While Richard Boase came back from his mission feeling rather discouraged, the truth is that virtual currencies are increasingly popular in Kenya. 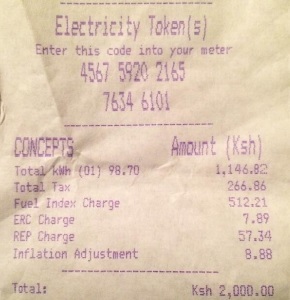 Kenya Power, an electrical utility company, has rolled out prepaid electricity virtual tokens that are available for purchase via mobile wallets and at physical stores. and enter it into your meter to top up your power credits. Loyalty points, such as Bonga Points (cell phone loyalty points), KQ-Msafiri Miles (airline miles), and Nakumatt ('big retail' loyalty points) are being used as popular market drivers. And systems like M-PESA and Chamapesa have given the unbanked access to financial and investment services, as we have already discussed. The opportunity for digital finance in Kenya, and East African countries is real and palpable! The question to be answered is: how do Bitcoin and other cryptocurrencies fit in? I agree with Richard that we need to collaboratively draw up a policy document that maps out Bitcoin for developing countries. It will take concerted efforts, brilliant minds and a supporting environment for techies, entrepreneurs, stakeholders and designers to come up with specific user-centric designs and applications that address Africa's particular niche of needs and issues. User-friendly services and products that are built on sustainable business models will be the ones that succeed. Then again, as William Gibson wrote, "The street finds its own uses for things - uses the manufacturers never imagined." Africa has its own time, pace, rhythm, desires and needs. Africans will find their own use for it. Africans are pragmatic and entrepreneurial - don't fit your paradigm into their paradigm.